While our eyes are currently firmly fixed on Greece, which is often perceived as the most acute threat to the Eurozone’s future, in the meantime the stability of the Europe’s monetary union is being undermined by the back door. That is because the newly established supervisory role for the European Central Bank (ECB) has recently been challenged at the Court of Justice of the European Union (CJEU). As of November last year the ECB has become the main supervisor of Europe’s financial institutions. The idea of oversight concentrated in the hands of the ECB, and away from the national authorities was born out of the recent financial crisis which trapped countries in the ‘vicious circle’ between banks and sovereigns (i.e. public debt). The final agreement, like any other compromise at the EU level, was paved by a number of concessions especially to the most powerful Euro-member, Germany. While originally the European Commission envisaged the ECB to regulate all Eurozone banks, no matter the size of their assets, Berlin insisted that the scope of the supervisory role be limited and more focused on major rather than smaller banks. Following difficult and long political negotiations, as well as agreement between the Council and the European Parliament (on also exemption of small banks from the remit of the ECB), the Banking Union came into force on 4 November 2014. Notwithstanding that compromise, now it seems that the final shape of the Banking Union may not be settled as of yet, since the ECB’s role of oversight is being currently legally challenged at the Court of Justice of the European Union. In simple terms, the purpose of the Banking Union was to ensure protection of national budgets and hence tax payers’ money against the failure of financial institutions, as has been the case following the collapse of Lehman Brothers in the US which led to a global financial crisis. The Eurozone and other EU participating countries have agreed that for the most part, the ECB would be responsible for overseeing their financial institutions to ensure they do not run into difficulties. In case problems do arise, the existence of the Single Resolution Board and a Single Resolution Fund would ensure that such a bank is restructured in an ordered way, so as to prevent the spread of the crisis onto other banks and countries. To this end, the ECB was to become the dominant centralised supervisory institution to ensure compliance with the EU banking rules. In the end, certain limitations of the ECB oversight were introduced and EU leaders had decided that only those financial institutions with a balance sheet of which exceeded €30 billion threshold and/or account for more than a fifth of the country’s GDP would be removed from national regulators and placed under the wings of the ECB – a move that has benefited small banks as well as countries such as Germany, Italy and Austria. Despite this political compromise and the limits of oversight set by the €30 billion threshold, the ECB is now faced with a lawsuit before the CJEU launched by the Germany’s Development bank Landeskreditbank Baden-Württemberg, also known as L-Bank. L-Bank, which by European standards could be classed as a middle-sized bank and which holds about €70 billion in assets, would like to wriggle itself out from the writ of the ECB’s supervision, as it claims the administrative costs for middle-sized banks are too high (between €5 million and €10 million) and that the purpose of centralized regulation of Eurozone banks by the ECB is to police institutions that are more complex, not regional in nature. 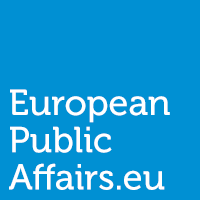 While it is too early to speculate what the Court will decide and despite its previous decisions being usually in support of more EU integration, it is important to bear in mind that a similar argument – a distinction between complex and regional banks – has been successfully used before (although not in a framework of a legal case but rather of political negotiations). In the lead-up to the final agreement between EU institutions in 2013, Germany’s Sparkassen (or savings banks) lobbied hard for the country’s representatives to remove small banks from the centralized oversight as proposed by the European Commission, and instead keep them firmly within the remit of Germany’s own authorities. Georg Fahrenschon, from the Germany’s association of savings banks (DSGV) told the Financial Times (here) in 2012 that supervisors should “concentrate on the places where the problems are… Customer-focused, small, regional banks bring stability. They should not be at the centre of [the] measures”. 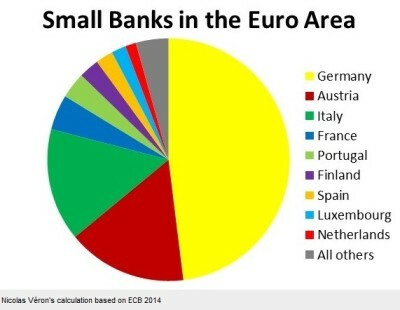 As a result, the final text excluded small banks from the banking union. Something similar is now being tried by the L-Bank albeit in the shape and form of a lawsuit. Should ECB oversee middle-sized banks? Nevertheless, looking more closely into the matter one might argue that exempting savings banks from the accord was a mistake. For instance, the size of the assets of Germany’s savings banks alone account for as much as €1tn – that is more than the assets of the Eurozone’s largest bank, Deutsche bank, which has come under the supervision of the ECB. Moreover, Sparkassen – local in their nature as they may be – are highly relevant to the security of the Eurozone for another reason too. Savings banks are often associated with larger regional Landesbanken via mutual guarantees (here) which, whether we like it or not, makes them a systemic risk to the rest of the Eurozone as they are directly linked with bigger banks. It is precisely for the purpose of avoiding such a risk that the supervisory power has been delegated to the ECB in the first place. If we therefore agree that savings banks, usually smaller and less significant than middle-sized banks, should too have been placed under the scrutiny of the ECB, one finds it difficult to see how the reasoning of a much bigger bank such as the L-Bank could stand. However, should the Court of Justice of the European Union still find the reasoning of the L-Bank valid and founded, the decision will have far-reaching consequences for all of the Eurozone’s financial institutions. Similar legal challenges from bigger banks may follow and other middle-sized financial institutions will demand to be removed from underneath the supervision of the ECB. As a result, the Eurozone will become less safe and stable and the original purpose of the banking union as a guard against future financial system meltdown, as seen in 2008, would be undermined. Greece may be, for all the obvious reasons, the main focus of our attention at the moment but the future of the Eurozone could in the end be decided elsewhere – in the Court room. While not in entirely the same position as savings banks, medium-sized banks such as the L-Bank could in essence position themselves as champions of regional banking and hence argue that being placed under the ECB supervision goes against the spirit of the banking union. On the other hand, those wishing for the ECB to assume as much centralized position as possible can draw comfort from the CJEU’s previous, rather pro-integrationist stances and hope that the Court will not undermine the ECB’s authority. One way or another, it seems that for the time being the final contours of the Eurozone are everything but final. NextWhat is ITS and how it will change the way you move? It’s actually not entirely accurate to say that the supervision “threshold” is € 30 billion. This is merely the boundary between ‘direct’ and ‘indirect’ ECB supervision. In practice, the national authorities have to cooperate closely with the ECB (e.g. by adopting the supervisory methods it mandates) and must also report to it regularly to it regarding the banks under their supervision. Furthermore, the ECB may at any point in time decide to classify any euro area bank as significant to “ensure that high supervisory standards are applied consistently.” However, this is not to argue the NCAs are somehow dependent on the ECB. In fact, quite the opposite is true: The ECB is heavily reliant on the cooperation of NCAs to fulfill its responsibilities as supervisor. Even the supervision of ‘large’ banks is done in close cooperation with national authorities. I will not examine the implications of this here, suffice it to say that these are sufficient grounds to ask tough questions about the overall purpose and legitimacy of BU.